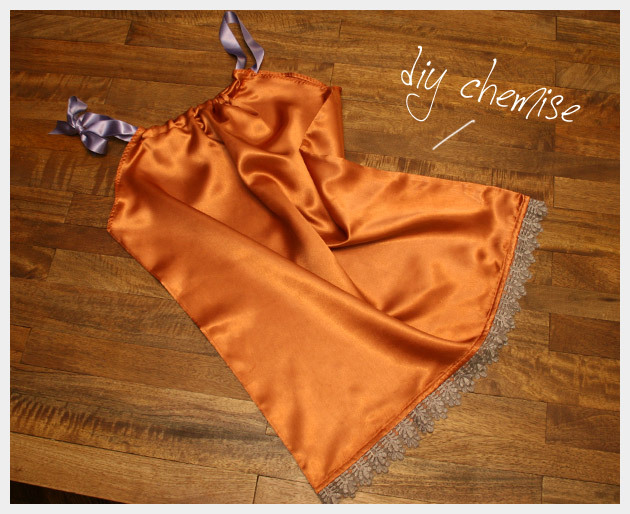 This simple DIY Chemise is made from a pillowcase and a ribbon. This pillowcase was one of my favorites, and Ive been reluctant to part with it ever since it no longer fits my bedroom dÃ©cor. 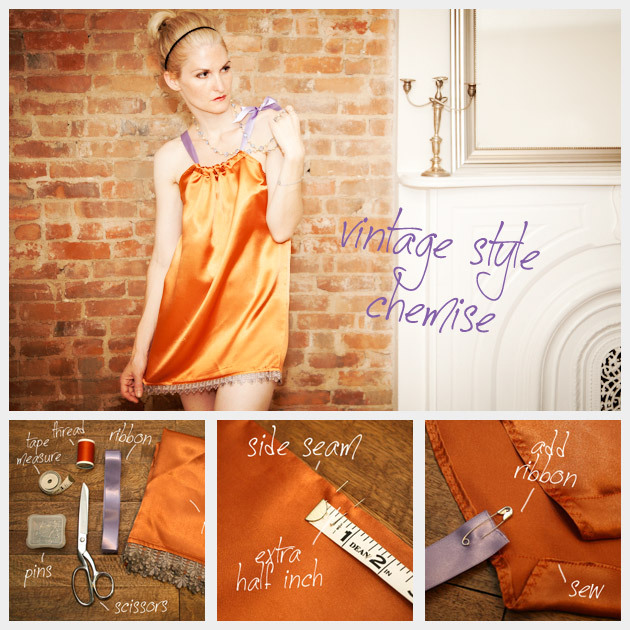 Now I can still enjoy the beautiful mix of rust and dusty purple as a comfortable, vintage looking DIY chemise. One of my favorite things about DIY is taking something ordinary and utilitarian and turning it into something extraordinary and unexpected. 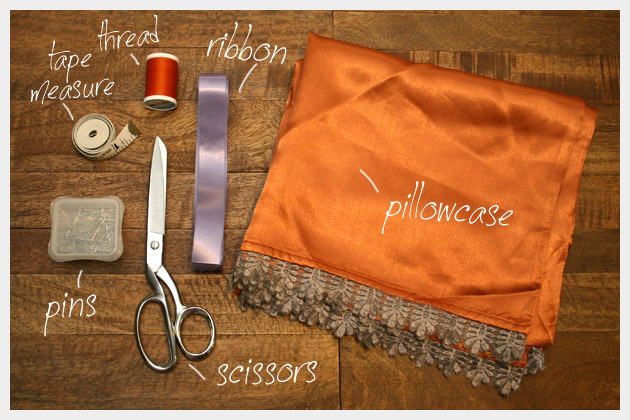 Take your pillowcase and your scissors and cut off the top seam on your pillowcase. Measure up from the bottom (open) hem of your pillowcase along the sides and mark or pin where you will want the bottom of the armhole to be. I measured mine at 20 inches. Mark the center top of your pillowcase. Measure and mark the total width you want your neckline to be, I made mine 9.5 inches. 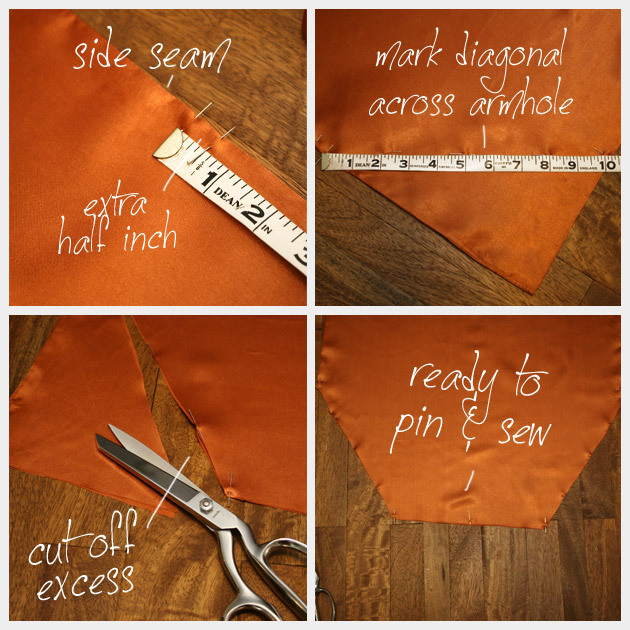 Mark and cut your pillowcase at an angle from the bottom of the armhole to sides of your neckline. Roll and pin your seams along your armholes. I folded mine over twice to avoid and raw edges that might fray. Once you have all sides pinned, sew them with your sewing machine. I used a zigzag stitch. 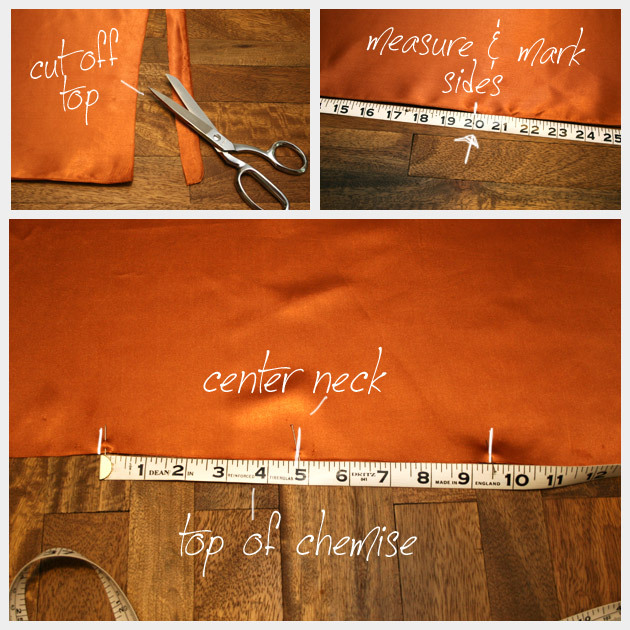 Measure from the base of your armhole up to where you want the top of your neckline to be. Then fold your fabric over, folding in your hem to avoid raw edges. Make this hem at least 1 inch wide, as this will be the casing for your ribbon. 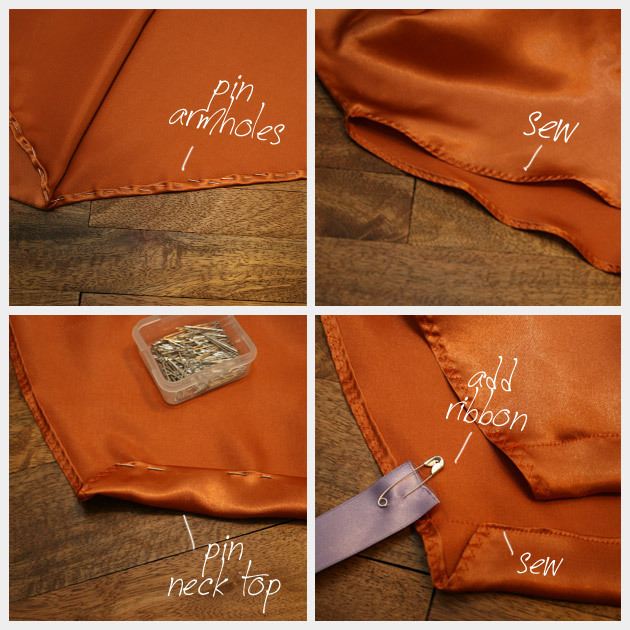 Sew this seam with a straight seam along both the front and back. Take your ribbon and your safety pin and attach your safety pin to one end of your ribbon. Run your ribbon through both sides of the top of your chemise and tie with a bow. The hot and humid weather we are having in NY right now makes it hard to stay cool and fashionable. This lightweight DIY chemise is great for wearing around the house, the cute vintage look keeps you cool and stylish while beating the heat. 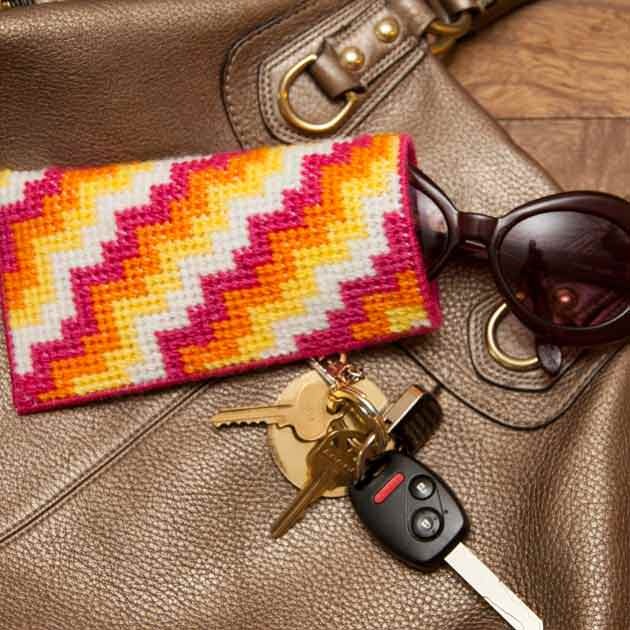 I really love the challenge of re-purposing something into a new and useful wearable item. This is a really simple and quick project with a whole lot of possibilities. Depending on your pillowcase and the ribbon you choose, your chemise can have many different looks. Id love to hear how your chemise turns out, leave me a comment and let me know. 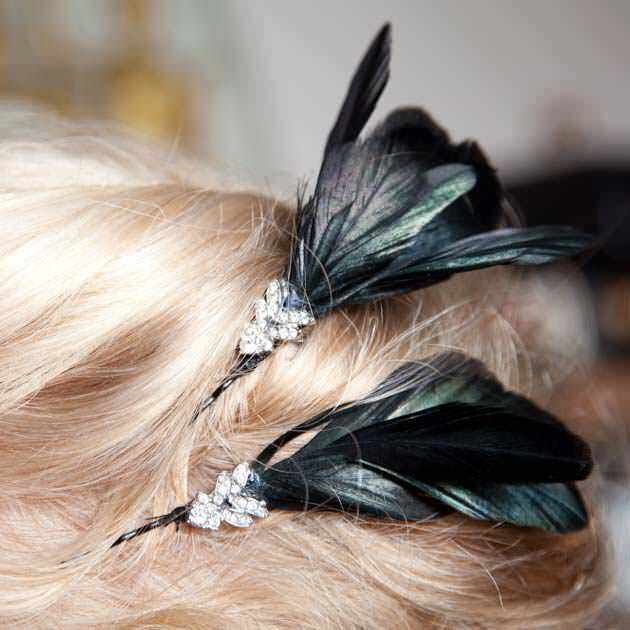 Fabulous and glamorous project! I’m loving that this is not a classic home-ec looking project! Thanks! I’m so glad you like it! That’s a great complement! Wish I could FIT into a pillowcase! LOL!